Having been to Leeds festival before already and having meticulously planned my outfits weeks in advance, I thought I was fully prepared for Leeds fest 2013. One thing I didn't account for was thunderstorms and knee deep mud, meaning my whole festival wardrobe was sopping wet by the Friday and I came home with only half of the over the knee socks I had taken. 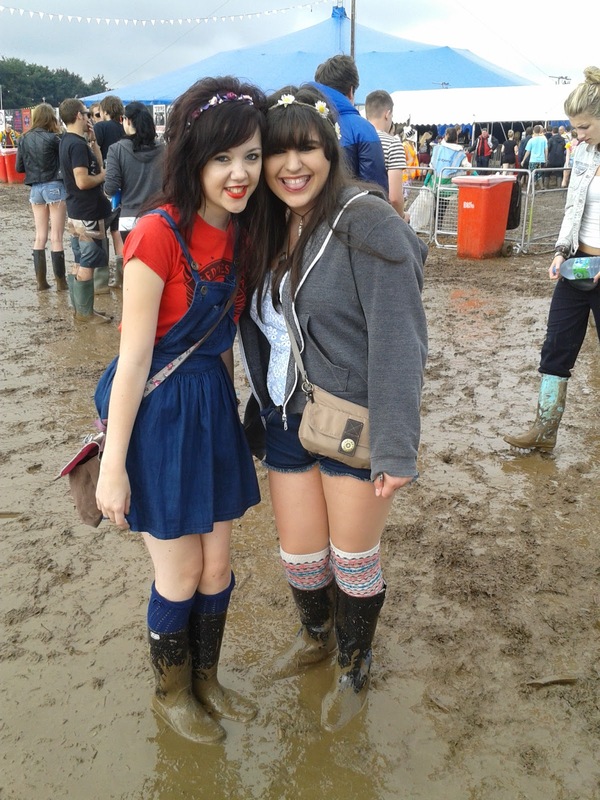 Despite evil mother nature trying to ruin festival fashion, we all survived the weekend, with wellies just about intact. To see Haim on the Friday, I knew I had to be looking girly. This meant floral crowns and my pink motel kadie skirt, but with Leeds being Leeds, I had to give it that punky edge with this skeleton print bodysuit and studded bum bag, which by the way, is a festival essential! 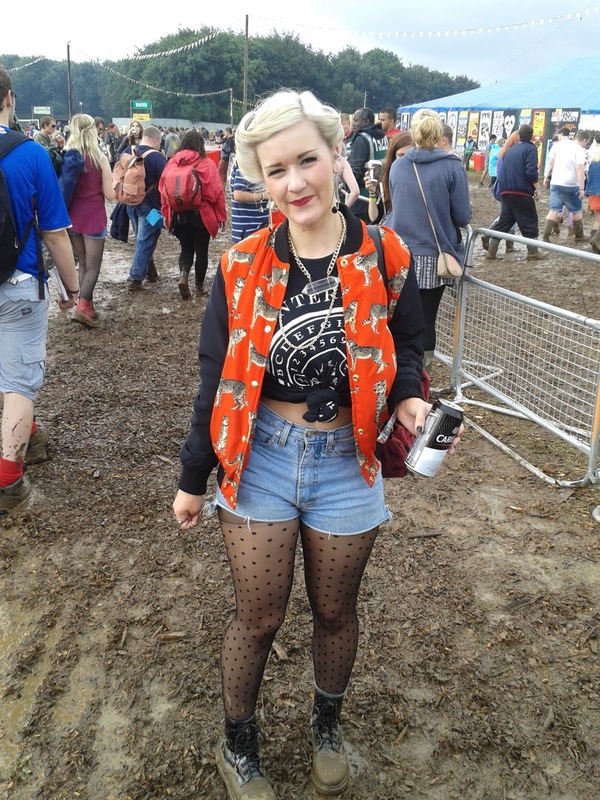 When I wasn't watching the amazing acts such as Disclosure, Fall Out Boy, The Strypes and Eminem, I was keeping a close eye on what everyone else was wearing, and even managed to wade through the mud (which I suspect was half sewage at one point) to snap a few street style pictures! Kudos to these girls for colour-coordinating their looks, it isn't easy to do with such a capsule wardrobe and one way to stand out in such a huge crowd is a bold red lip, which looks gorgeous with a red rose floral crown too. One way to pack light but have a unique look each day is to pack the basics; plain t-shirts and denim shorts, but have some statement pieces to hand, such as this animal print bomber jacket. Why not check out one of motel's bomber jackets? I won't blame you if you don't manage to pull off this girl's perfect retro make up and hair after a 5 day bender though..I know I couldn't! If you haven't got a pinafore by now, why not?! They were everywhere this Summer and the good news is they're here to stay thanks to the 90s revival. I loved how effortless this girl looked with her simple top knot and vintage look. No one can be high maintenance at a festival after all. 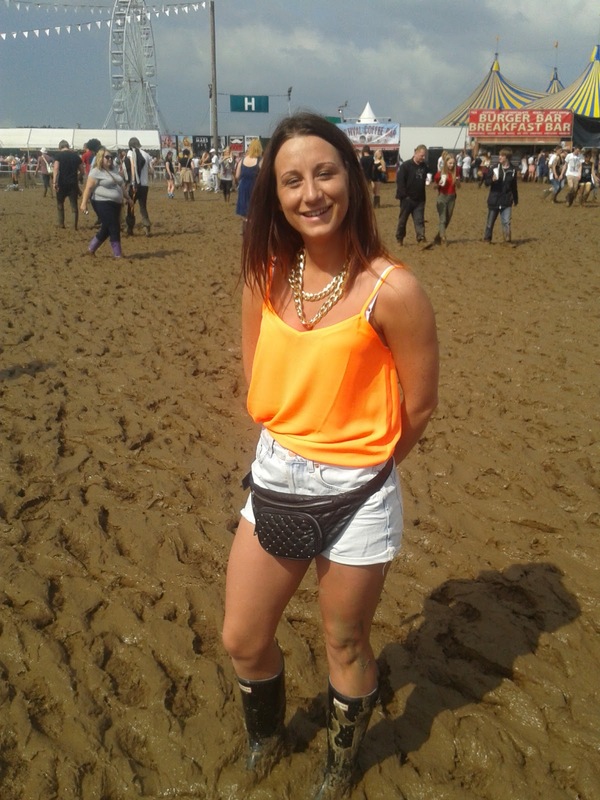 One major trend I spotted at Leeds this year was neon camis. Every other girl was wearing one and dare I say it, they might have been even more popular than floral crowns?! Keep an eye out for this trend as I'm sure it'll be even hotter next year. I even have an easy peasy DIY tutorial on how to make your own cami top if you fancy getting crafty. 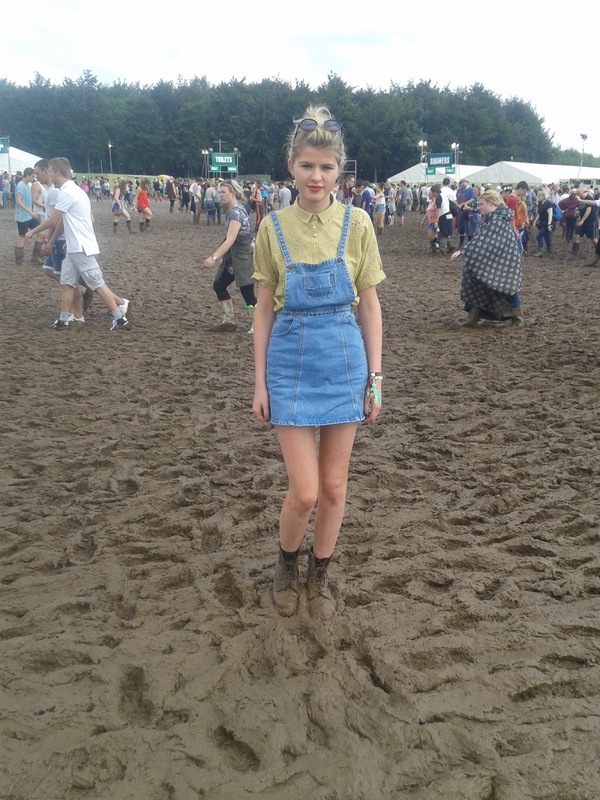 Leeds festival 2013 was one of the best (and muddiest) weekends of my life so far for amazing music, exciting atmosphere and inspirational fashion. Bring on 2014 so we can do it all again! BLOG SALE ENDS THIS SUNDAY EVERYTHING £5 AND UNDER! Great style report Allie! I can't believe these girls managed to look so trendy while getting ready in a tent and with all the mud and thunderstorms! 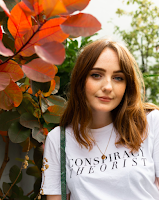 love a bit of street style, it's so interesting to see what everyone was wearing! ahh these outfits are so cute!! Despite the mud looks like you had a fab time!